Dutch scientists conducted a study recently in order to determine what drugs are the most addictive and why. The researchers used their findings to generate a “dependency rating” for each drug. Those with the highest dependency rating are considered the most expensive. The drugs were rated on a precise scale of 0 to 3. In real life, there are many factors that contribute to the likelihood that you will become addicted to drugs, such as your genetic makeup, your social history, what drugs your friends take, and your income level. Regardless, due to their chemical makeup and how they work in a person’s body, some drugs are simply more addictive than others. The drugs that are the hardest to kick actually program your brain to desire them. One of the findings of this study that catches my interest is the notion that alcohol and tobacco (which are legal) are more dangerous than marijuana and ecstasy (which are illegal). Notorious for being both physiological and psychologically addictive, heroin comes in first. As an opiate, it affects opioid receptors throughout the body and mimics endorphins, reducing pain and causing pleasure. It is the most addictive drug in the world. Crack cocaine comes in second. The intensity of the high combined with the efficient method of ingestion—smoking—are the big reasons why addiction rates are dramatically higher for crack than they are for snorted powder. Nicotine comes in a strong third. Cigarettes and cigars and the most common sources of this stimulant and there are an estimated 50,000,000 nicotine addicts worldwide. Methadone comes in fourth. Heroin junkies trying to quit using sometimes get treated with methadone. They will quickly become resistant to its euphoric effects and use it to keep heroin withdrawal symptoms at bay. However, this tolerance that quickly develops is a sign of dependence. Crystal methamphetamine (crystal meth) rates fifth on the scale. This nasty drug is long-lasting and takes addiction to the next level. It works like heroin and nicotine, but it affects norepinephrine production and dopamine production. Alcohol is legal and regularly consumed in social settings, making alcohol addiction somewhat complicated. Alcohol is also widely advertised and, as an addictive agent, is remarkably simple – and effective. Alcohol’s withdrawal syndrome is so severe that it can cause death, and its effects on the brain’s reward system cause well-documented and intense craving in heavy drinkers. Seventh on the scale is cocaine. Cocaine prevents the reabsorption of dopamine in the brain’s reward areas. After you use enough blow, your brain reduces the number of dopamine receptors in this region, figuring it has already got plenty of it. Stopping the drug makes you crave it more, and rapid tolerance places it in the top ten. Amphetamines rate eighth. Although not as addictive as crystal meth, these drugs which often come in prescription form. Quitting cold turkey can cause severe depression and anxiety, as well as extreme fatigue. Benzodiazepines, or “benzos,” rate ninth on the scale. Withdrawals from these can be extremely difficult, even fatal. That is the reason you have to be very careful when quitting these drugs. Last but not least on the top ten most addictive drugs is GHB. This drug has a brutal withdrawal syndrome that causes insomnia, anxiety, dizziness, and vomiting. So be warned and beware. 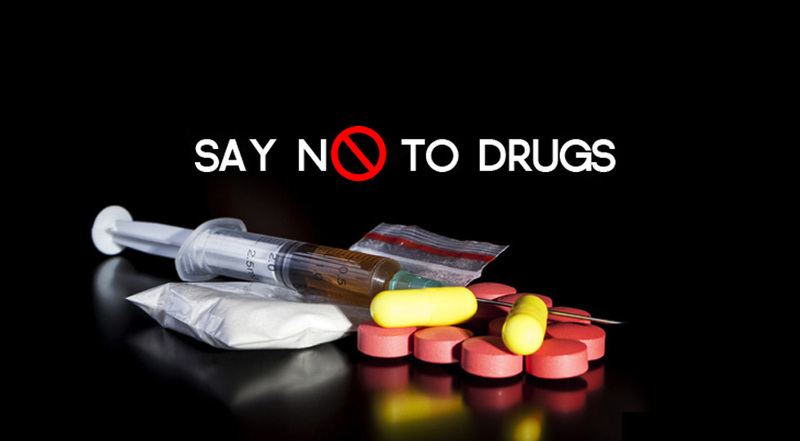 Most of these drugs are illegal and should be avoided. 1. Detwiler, Jacqueline. “The 10 Hardest Drugs to Kick.” Alcohol, Drug Addiction and Recovery News. The Fix, 20 Dec. 2011. Web. 30 Apr. 2013.